I remember the moment distinctly. We were sitting at the cub scouts end of the year picnic, watching Cub and the other 6 year old boys playing t-ball. I watched as Cub tried really hard to behave like the other 6 year old boys and he just didn’t know how to do it. It was pretty painfully cringy to watch. He just simply didn’t know how to “act his age.” Typically he was pretty serious, engaged in thoughtful conversations, and enjoyed magically creative dramatic play. In his attempts to fit in with the other boys, he became that overly silly, in-your-face kind of boy. And, with his psychomotor intensity, he was physically buzzing around everyone and talking non-stop. But, psychomotor intensity doesn’t necessarily equate to advanced psychomotor ability. So, not only was he buzzing around, but he was doing so clumsily and simply seemed as though he didn’t know how to move his body. My husband and I looked at each other and said, “Oh my gosh. Our kid’s the annoying kid.” My mind could flash forward a few years and the picture it painted of Cub’s social life wasn’t pretty. Later in the week, I finally acquiesced to my husband’s fairly regular requests to enroll Cub in a martial art. It was one of the best activity choices we’ve ever made. And, in reflection, here’s why. The physical discipline he has learned has helped him to grow more grounded in his movements. He understands how to move his body with intention, which helps him modulate his psychomotor intensity. The form of martial art, Aikido, is a defensive discipline, so it has also curbed his previous tendency to get into people’s faces, knowing he doesn’t need to go on the attack, but can quietly wait. He has had the opportunity to learn from other people, older and younger, and to develop his own leadership skills. In addition to the physical skills, there is an intellectual element of Aikido as he learns strategy, Japanese culture and language, and an understanding of the philosophy of Aikido. His successes with Aikido have taught me a few things with regard to choosing the appropriate extracurricular activities for our gifted kids. First, I now try to very intentionally choose activities that allow an outlet for their various intensities (overexcitabilities). The more we feed the intensities, the less dysfunctional they become. Aikido for psychomotor intensity. Drama or Destination Imagination for imaginational intensity. Art classes or philanthropic service projects to feed the sensual or emotional intensity. Strategic gaming clubs for opportunities for intellectual intensity. Second, I try to not only choose activities that feed the intensities, but also that help my kids learn how to modulate them. There are a lot of downsides to intensities and us gifted people need to know how to regulate those downsides. But, there are a lot of upsides, as well, and we need to teach our kids how to build the strengths and regulate the weaknesses of their particular intensities. Aikido has been fabulous for this as Cub’s learned how to be generally more grounded in his body. Third, we seek out multi-age activities. Our kids develop asynchronistically, which means they rarely fit in with chronological peers. They tend to do better with older or younger kids. And, when multi-age groups for particular activities don’t exist, sometimes we create our own. I managed a Destination Imagination team geared to homeschoolers so we could have a range of kids’ ages on the team. Worked far better than sticking Cub in the public school’s team with all the same grade kids. Fourth, we are very intentional about talking together to determine what and how many activities to participate in. 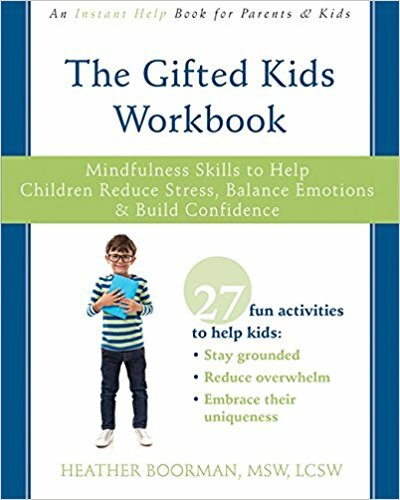 Gifted kids tend to be more introverted, so the fast-paced, be busy 24 hours a day, sign up for lots of activities world that we live in is often even more detrimental to these kiddos. Sometimes we choose activities that are one-on-one, or solitary, or just at home. And Cub generally has an understanding of what his limits are. There are so many fantastic opportunities for our kids these days. It becomes difficult to say no or to find the right match. But, I’ve found that when I can be intentional in the ways I’ve described, my kids can flourish. They learn how to build upon the strengths and modulate the weaknesses of their intense personalities. And, thankfully, with Aikido’s help, Cub is no longer the annoying kid. For More tips, tricks, and stories about the intersection of extracurricular activities and intensities, check out the Blog Hop at Gifted Homeschooler's Forum!